I saw some butternut squash the other day at the grocery store and instantly thought of fall. 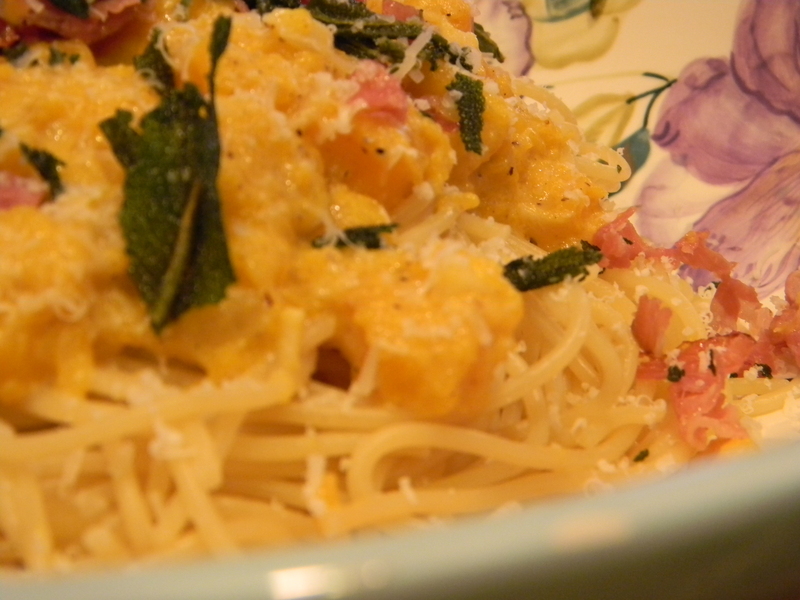 The creamy sweet butternut squash pairs nicely with the crispy sage, salty prosciutto, and hint of nutmeg. 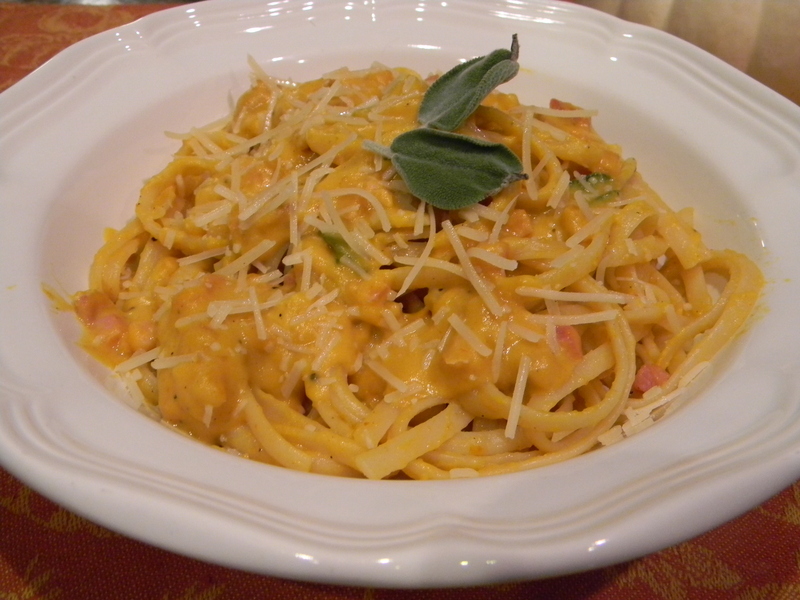 You can either use cream and chicken stock or lighten it up with just chicken stock, it is entirely up to you. For the Veg version, omit the prosciutto and chicken stock. Replace it with a cup of the pasta cooking water instead. I finished mine off with a nice drizzle of white truffle oil but I am sure most of you don’t just have that lying around your pantry. You can serve this with a nice field green salad with some dried cranberries, walnuts and balsamic vinaigrette and perhaps a nice glass of crisp chardonnay. 1.) Preheat oven to 375. 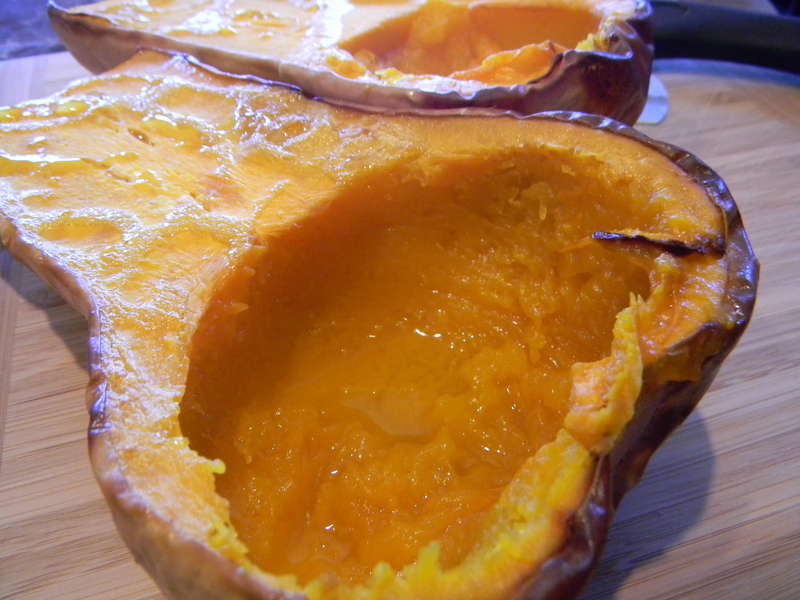 Place squash skin side down on baking sheet and drizzle 2 tablespoons of olive oil over flesh and season with salt and pepper. Cook in the oven for one hour until fork tender. Let cool slightly then scoop out seeds. Cut skin off, dice squash and set aside. 2.) 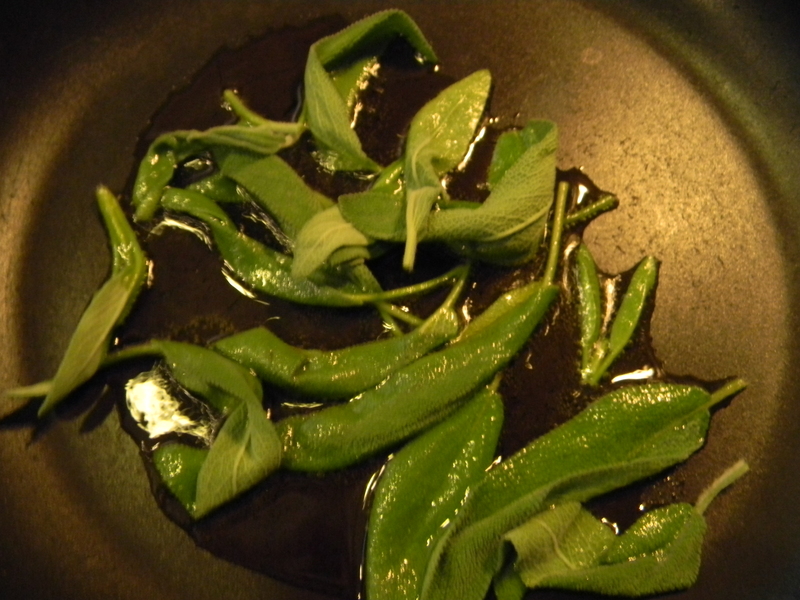 In a large saute pan, heat 2 tablespoons of olive oil over medium heat and fry sage leaves until crispy, about 4 minutes. Remove leaves with tongs or a fork and drain on a paper towel-lined plate. Set aside. 3.) In the same pan, over medium heat, add chopped prosciutto and fry until crispy, about 5 minutes. 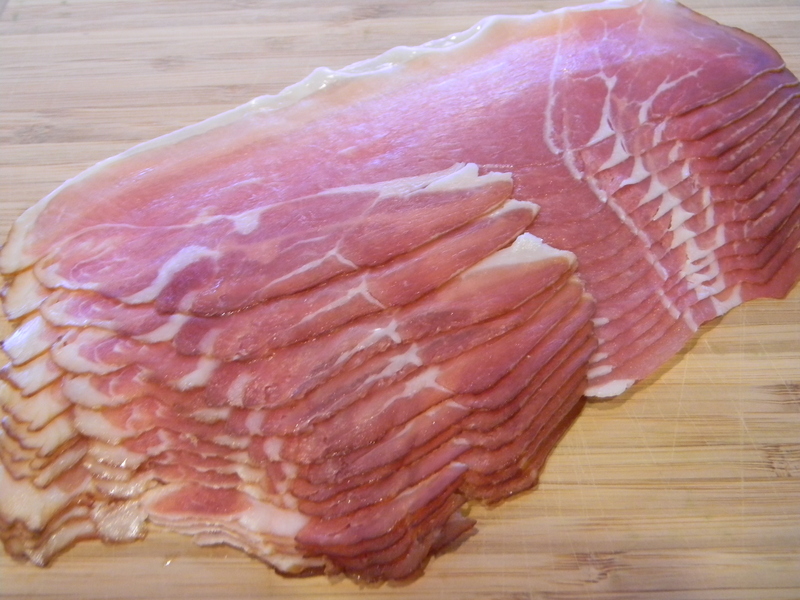 Remove prosciutto to a paper towel-lined plate and set aside. 4.) Again using the same pan, add another couple tablespoons of olive oil over medium heat. 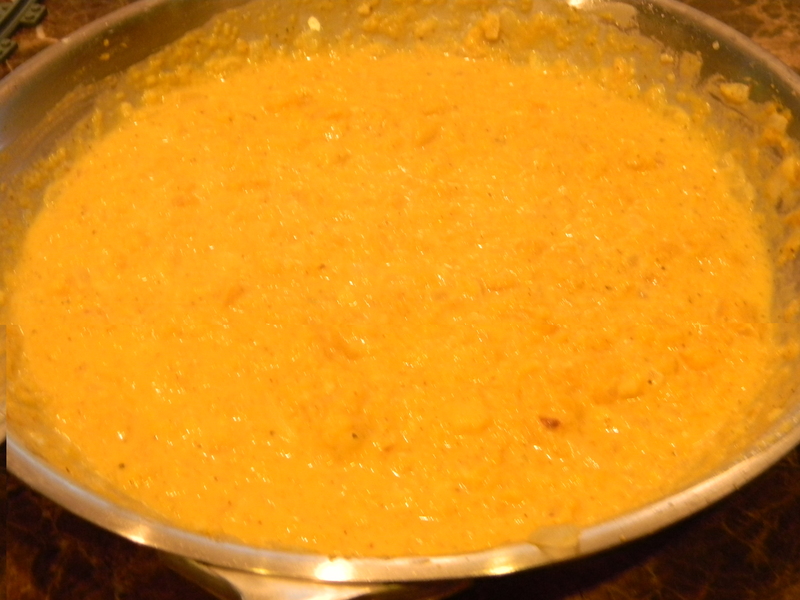 Add onions and garlic and saute, stirring frequently for about 5 minutes, until soft and fragrant. 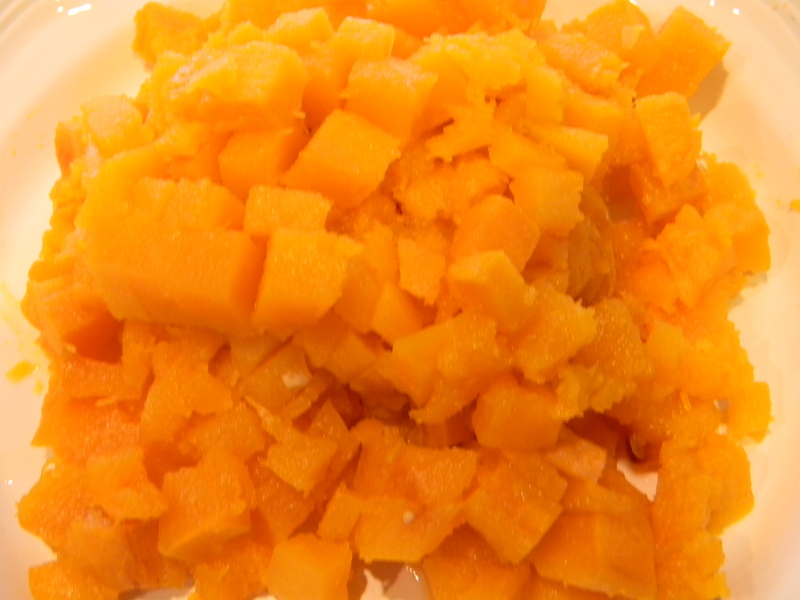 Add butternut squash and nutmeg to the pan and cook another 2 minutes, gently stirring with a spoon occasionally. Add cream and/or chicken stock, stir, and let cook for about 4 minutes. Season with salt and pepper. 5.) 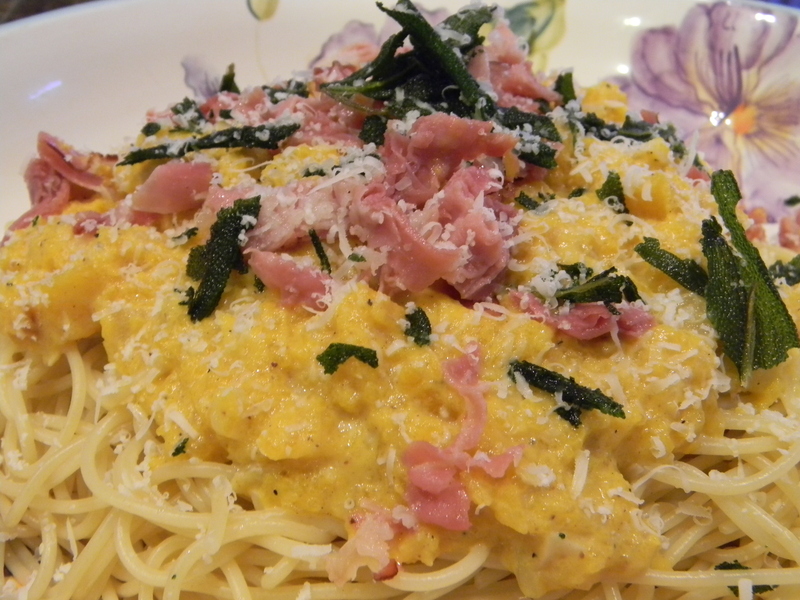 In a large serving bowl, layer pasta, butternut squash sauce, prosciutto, fried sage leaves and top with grated parmesan cheese. Toss to serve and sprinkle with additional parmesan.